I was at the gym early this morning and had a friendly exchange with Mike, a fit guy in his seventies who is there regularly. When I was still working he discovered that I was the minister of Bridge St. Church and it turned out he is Roman Catholic and involved with the inter-church and inter-faith Syrian refugee project. Mike is always friendly and positive. Today he commented on the beautiful start to the day and said, with a smile, "I suppose the word of the day should be gratitude." I read recently that an extensive study conducted by the University of Sydney in Australia has found that we don't express thanks nearly as often as we think we do. More than that though, expressing thanks is not the same as feeling gratitude and while some people in some cultures are more likely to say thank you, it may be a convention rather than a conviction. I see the steady effort of our son and daughter-in-law to get our two grandson to express gratitude. They are happy, sweet boys who nonetheless need lots of nudges in that direction. Of course it is the "attitude of gratitude" that Mike was speaking about this morning and which parents hope to inculcate in children. Other studies indicate we are mentally healthier when we are able to live our thanks rather than self-interest or ingratitude. 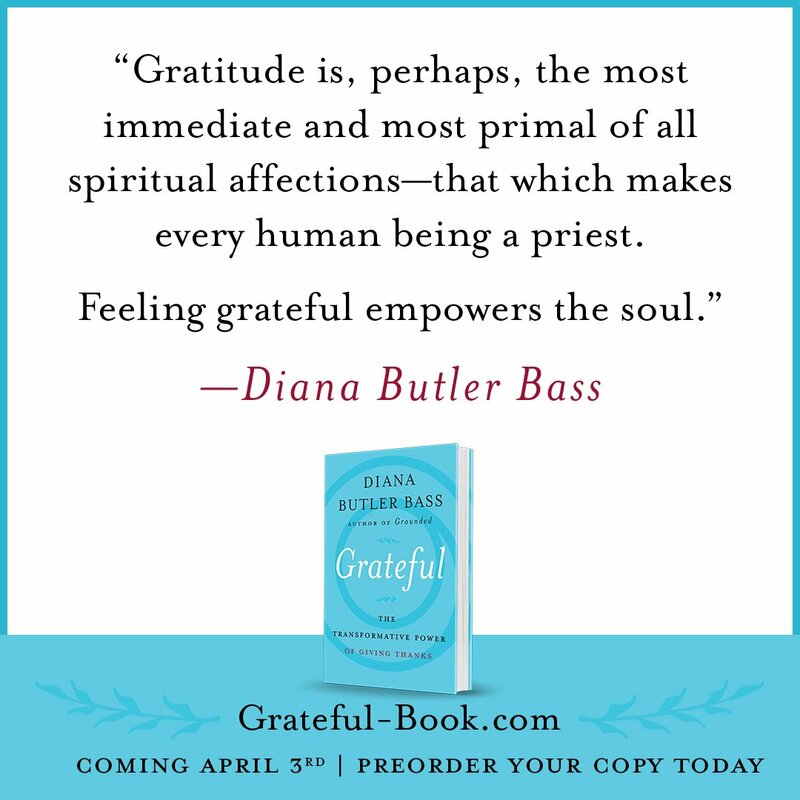 Diana Butler Bass has a new book called Grateful: The Transformative Power of Giving Thanks and the title really sums up Jesus' invitation to live a life of gratitude. He told parables about having a generous heart and when he broke bread he gave thanks. As Mike was leaving he found me and commented that he'd heard about keeping a gratitude journal, writing down what we're thankful for each day. I agreed that this would be a good antidote to the harshness and anger we hear constantly. I hope that in this day there will be opportunities to express and experience thanks, whatever your circumstances may be. And thanks for reading!